Xavier Strickland, 4-years old, was savagely killed by pit bulls in Detroit on December 2, 2015. UPDATE 06/30/16: Judge James Callahan sentenced Geneke Antonio Lyons, 42, to 5-years probation with a year in "work release" jail after his pit bulls eviscerated a little boy. The sentence was below the guidelines of 19 to 38 months. Prosecutors had originally charged Lyons with second-degree murder, but Callahan threw out that charge. On June 9, a jury convicted Lyons on two felony counts: involuntary manslaughter and possessing dangerous animals causing death. Judge Callahan's sympathy for Lyons and sentencing him below the minimum guidelines cannot be ignored. On December 2, Xavier Strickland, 4-years old, and his mother were walking near Lyons home on Baylis Street when a pack of pit bulls escaped under Lyons' fence and "snatched" the boy from his mother's arms. The dogs dragged Xavier by the hood of his coat across the street, pulled him under the fence and into Lyons' backyard, where they disemboweled him. The malicious attack, which began on a sidewalk and ended on Lyons' property, was captured on four surveillance cameras owned by the defendant. The gruesome footage, dubbed "16 minutes of horror," was shown in full to the judge during the preliminary hearing. The trial jury saw 9 minutes of the graphic footage in Judge Callahan's courtroom. We think that same jury, who convicted Lyons on two felony counts, would be shocked at Judge Callahan's light sentence today. Callahan's message is clear: In Detroit, when your pit bulls escape your property and savagely kill an innocent child, the penalty will be minimal. Our hearts and tears go out to Xavier's mother, Lucillie Strickland, who had to testify not once, but twice -- during the preliminary hearing and criminal trial -- each time reliving the murderous mauling death of her son by four pit bulls. The savage attack left seasoned Detroit police officers stricken and aghast. The public and media reacted with horror and outrage, and demands to finally clean up the "fabric" of Detroit, of which pit bulls and dogfighting have long been woven into. Of the five fatal dog mauling verdicts in Michigan since 2008, Lyons was ordered to serve the second least amount of time. 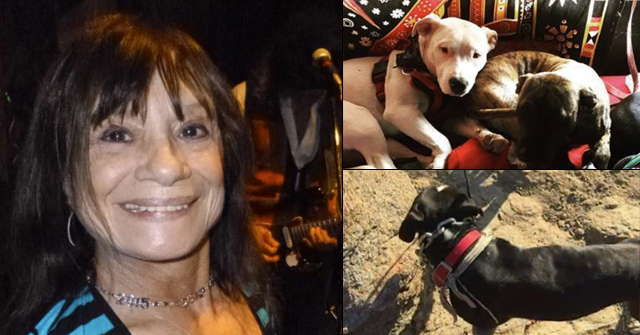 The highest penalty occurred in 2015 after two cane corsos escaped their owners' property and killed Craig Systma, 46, who was jogging near their home. A judge ordered the couple who owned the dogs to serve just under 5-years. To be clear, it is not that we disbelieve Lyons' remorse. He simply needed a sentenced that properly reflected this crime. We transcribed Judge Callahan's sentencing explanation and added some annotations. On December 2, Xavier Strickland and his mother where walking near Lyons' home on Baylis Street when a pack of pit bulls escaped under Lyons' fence and "snatched" the boy from his mother's arms. The dogs dragged Xavier by the hood of his coat across the street, pulled him under the fence and into Lyons' backyard, where they mauled him to death. The horrific attack was captured on the defendant's surveillance cameras. Jurors saw 9 minutes of this graphic video. Geneke Lyons was not remanded to jail; he is free on bond. Lyons will be sentenced on June 30. On the sixth day of the Detroit fatal pit bull mauling trial, defense gave its closing arguments. We received confirmation from WXYZ that the jury began deliberations shortly before noon. The jury will be considering two felony charges against Geneke Lyons in connection to the death of Xavier Strickland: involuntary manslaughter and possessing dangerous animals causing death. Both are manslaughter charges. A conviction requires finding Lyons guilty beyond a reasonable doubt. As we wait for the jury to reach a verdict in this tragic case, we've gathered the last decade of verdicts in Michigan fatal dog mauling cases. During the 11-year period of 2005 to 2015, dogs attacked and killed 16 people in the state of Michigan. Felony charges were brought after 6 of those deaths; this includes the death of Xavier Strickland. This is a 37.5% rate of bringing felony charges after a fatal dog mauling. The national average during the same period was 18%. Michigan has a felony dog attack statute, which makes this possible. Many other states do not. Below is a summary of the outcomes of those cases. 2015: After two cane corsos escaped their owner's property and killed Craig Systma, who was jogging near their home in Lapeer County, the dogs' owners were charged with second-degree murder. Sebastiano Quagliata, 46, and his wife, Valbona Lucaj, 45, reached a plea deal and both pleaded no contest to possessing a dangerous animal causing death. A judge sentenced each to just under 5 years in prison. 2012: After a 5-year old boy was killed by a wolf hybrid while under the care of his mother and her boyfriend, the pair pleaded guilty to multiple charges before a Wayne County court. 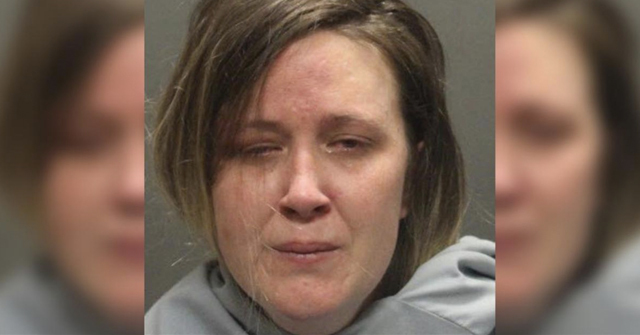 Debbralyn Holland, 31, was sentenced to 2.5 years on charges of involuntary manslaughter, second-degree child abuse and accessory. Earl Adkins, 37, was sentenced to 2 years for possessing a dangerous animal causing death. 2008: After the double fatal mauling in Livingston County -- the owner's pack of American bulldogs escaped their property and killed two individuals -- Diane Cockrell was charged with two counts of possessing a dangerous animal causing death. Cockrell pleaded no contest to both charges after reaching a sentencing agreement with prosecution. Cockrell was ordered to serve a minimum of 3.5 years in jail. 2008: Two step-brothers were charged with involuntary manslaughter after a rottweiler they acquired 10 days earlier killed a 4-month old girl. Jason Winters, 23, pleaded no contest to attempted first-degree child abuse and was sentenced to 3 years probation. Christopher Fura, 21, eventually pleaded no contest to involuntary manslaughter and was sentence to only 6-months in jail and 3 years probation. The orange year date indicates the year of sentencing, not the year of the fatal dog attack. On the fifth day of the Detroit fatal pit bull mauling trial, Judge James Callahan threw out the second-degree murder charge, but left in place the other two felony charges. This comes as no surprise. The prosecution did not present sufficient evidence showing that Geneke Lyons knew his dogs had a history of escaping before the deadly attack. Prosecutors needed to show that Lyons had "wanton or willful" disregard to cause the death of Xavier to prove the Murder Two charge. Closing statements by prosecution were made today. Prosecution tried to nail down convictions on the two remaining felony charges, involuntary manslaughter and possessing dangerous animals causing death charges. Prosecution argued that Lyons kept the pit bulls outside (these were not house dogs), and in the past, had intentionally left the dogs out to "guard his property." Sadly, we could not locate any reporters live Tweeting during prosecution's closing to provide more details. Defense will deliver their closing arguments Thursday morning. Jury instructions and deliberation will follow. The remaining felony charges are involuntary manslaughter (also called criminally negligent manslaughter in Michigan) which involves showing recklessness or criminal negligence. The other charge, "possessing dangerous animals causing death," requires the dogs to meet the definition of a "dangerous animal." Both felonies carry a maximum sentence of up to 15 years. 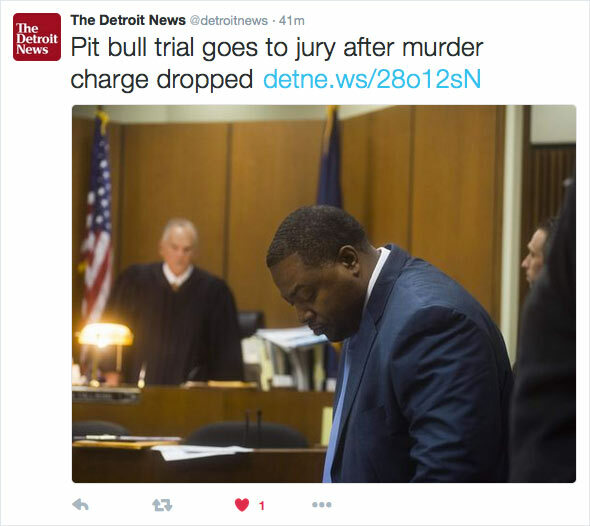 Detroit, MI - On the fourth day of the Detroit fatal pit bull mauling trial, the jury heard testimony from the medical examiner about the boy's horrific injuries and autopsy findings. On December 2, Xavier Strickland, 4-years old, was savagely attacked by a pack of pit bulls belonging to Geneke Lyons while walking down a residential sidewalk with his mother. Lyons faces charges of second-degree murder, involuntary manslaughter and possessing dangerous animals causing death. Dr. Leigh Hlavaty was one of the last witnesses called for the prosecution. On the fourth day of the Detroit fatal pit bull mauling trial, there were no live Tweeting news reporters that we could locate. WXYZ did cover the trial in their evening news coverage. We do expect the trial of Geneke Lyons to end this week. Closing arguments should draw the attention of multiple news reporters, some who will be live Tweeting the proceedings, then awaiting the verdict as the jury deliberates. 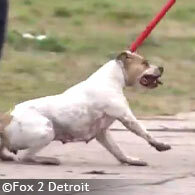 Detroit, MI - On day three of the Detroit fatal pit bull mauling trial, Xavier's mother, Lucillie Strickland testified. There were multiple sidebars and objections during her testimony. During cross-examination, Lucillie said her other children would walk through fields to get to school because they were "terrified" of the dogs at the house. Defense introduced the civil lawsuit at the objection of prosecution. The jury was excused as the two sides argued over its admissibility. judge says intro. of docs cld "backfire" against defense and that jury might actually have empathy for her and understand civil action. Two police officers and an evidence technician for the Detroit Police Department also testified Monday. Evidence tech Shana Simmon testified there were gaps, some close to 9 inches high, in the defendant's fence that surrounded the backyard where the dogs were kept (We presume this is the space between the ground and wrought iron gate.). Simmon also testified the dogs had dug a hole under the gate that enclosed the dog run. Thus, the pit bulls escaped from both fences. Follow Oralander Brand-Williams of The Detroit News for live Tweeting of this murder trial. Detroit, MI - So far seven witnesses have testified about what happened on the day Xavier Strickland, 4-years old, was brutally killed by four pit bulls belonging to Geneke Lyons. The dogs escaped beneath a gap under the defendant's gate and "snatched" the boy from his mother's arms as she tried to protect him. Lyons faces charges of second-degree murder, involuntary manslaughter and possessing dangerous animals causing death in connection with his death. The Detroit fatal pit bull mauling trial, involving second-degree murder charges after the death of a little boy, resumes Monday morning. On Friday Detroit Police Sgt. David Wright testified, providing the harrowing account as the first police officer on scene and firing shots into three of the pit bulls as they dashed around Lyons' backyard. Wright also testified that Xavier was still conscious when two officers rushed him to the hospital with his devastating injuries. On the first day of the trial, jurors where shown 9 minutes of a 16 minute video of the horrific attack that was captured by Lyons' own surveillance cameras. The prosecution needs to show that Lyons knew his dogs were escaping to prove the second-degree murder charge, which requires showing the defendant had "wanton or willful" disregard to cause the death of Xavier. During opening arguments, prosecutors stated that phone records and text messages suggest Lyons knew the dogs had gotten out previously. So far, witnesses have testified about Lyons' pit bulls being loose in the past, but none had informed Lyons of this. 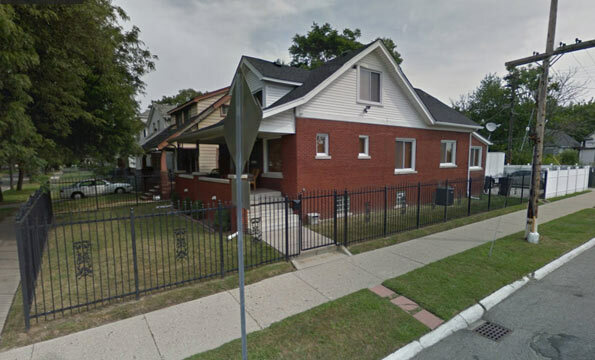 Previously, during the primary hearing in January, Judge Lydia Nance-Adams said "someone" at the home knew the dogs had gotten out before, noting the fencing at the home had chicken wire repairs to it, reported The Detroit News. 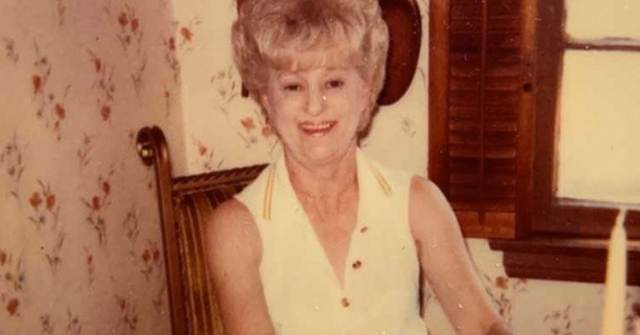 Nance-Adams also described Lyons' home as a fortress where the pit bulls were kept outside. Assistant Wayne County Prosecutor Parisa Kiani called the dogs "state-of-the-art” security guards. "They're not dogs. They're security equipment," Kiani said. Letting jurors ask questions -- and then, after redirects and crosses, letting them ask even more questions -- really slows things down. Viewing the Tweets in real time -- which came in like a storm at times -- it seems defense is trying to establish that defendant Geneke Lyons had "no idea" his dogs had been escaping. While various witnesses have testified, "the dogs are out again," at least none so far had communicated this to Lyons. Most tellingly, Lyons' house was "completely encased (in fencing). You can't go up to the porch," witness Yolanda Samuels testified, whose sons were also chased by his loose dogs. During the afternoon, DPD Sgt. David Wright, a 28-year veteran, testified. Wright was close to the location of the defendant's home on Baylis Street. He was the first officer on scene and arrived fast, in about 2 minutes. Wright testified that several people approached his squad car and told him what was happening. He got out of his vehicle and ran to the backyard. He shook the gate and the chain on the gate fell away. "I drew my weapon and went into the yard," Wright testified. Prosecutor: "What happened after you shot (the dog) 4 times?" Sergeant: "I shot another dog ... because he came toward me." Wright described the chaos in the defendant's backyard as the four pit bulls dashed back and forth and in and out of the doghouse, including one of the dogs Wright had already fired upon. Wright testified that he shot three pit bulls about four times each. Two of the injured dogs ran under the fence and out of his sight, Wright testified. "Two other officers came in; they picked up the boy and took him to the hospital," Wright told the courtroom. The boy was still conscious at that time. Proceedings concluded after the defense cross-examined Wright. The trial resumes Monday. Live tweeting: @GeorgeHunter_DN, The Detroit News and @elishaanderson, Detroit Free Press. 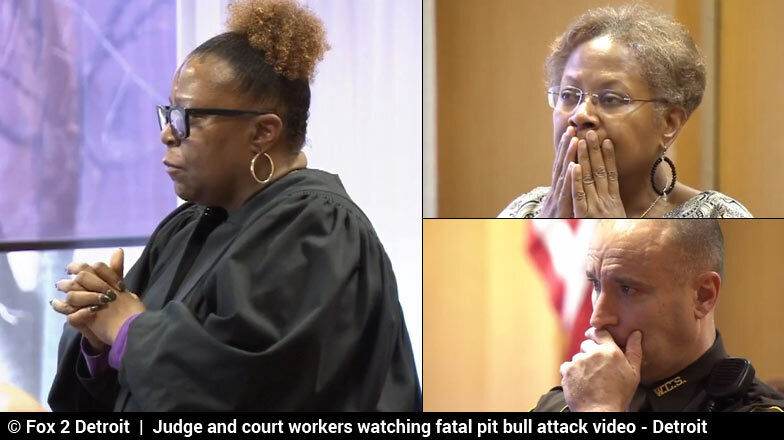 Detroit, MI - On the opening day of the Murder Two fatal dog mauling trial, jurors were shown the video of four pit bulls belonging to Geneke Lyons brutally attacking a 4-year old boy. Some jurors held tissues and wiped tears away after watching the footage, reports the Detroit Free Press. The video is from four surveillance cameras on the defendant's property. Jurors saw 9 minutes of the video. During the preliminary hearing in December, it was stated the video is 16 minutes long. Defense attorney Craig Daly said five jurors were crying during a portion of video and said it was "inflammatory." Defense attorney Craig Daly made the above statement outside the presence of the jury, reports the Free Press. Wayne County Circuit Judge James Callahan replied by saying the surveillance video footage is upsetting to any person. It's "understandable that some of the jurors were emotional,” Callahan said. He also stated the court stopped the video at the proper time, reports the Free Press. The video was stopped before the attack ended, reports the Free Press. 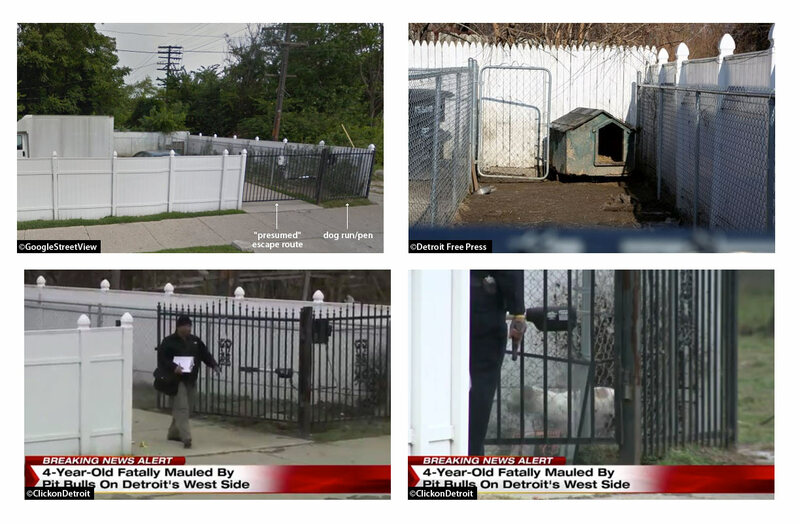 In the surveillance footage, several of the pit bulls can be seen inside the defendant's wrought iron fence, then outside, then back inside again, where the four dogs surrounded the boy and viciously attacked him. There was no audio for the video, reports the Free Press. The video was played on a screen in a Wayne County Circuit Courtroom during Lyons' second-degree murder trial. The jury is composed of nine women and five men -- two of these jurors will eventually become alternates. During opening arguments, Assistant Wayne County Prosecutor Parisa Kiani told jurors that evidence presented will show that Lyons knowingly created a very high risk scenario with his dogs, one that could lead to death or great bodily harm. Part of that evidence lies in phone records and text messages, Kiani said, that suggest "the defendant knew the dogs had gotten out on more than one occasion" in the months leading up to Xavier's mauling death, reports the Free Press. Kiani: We are here today because Xavier was killed, and the evidence will show the reason he was killed is because of the defendant. Testimony by witnesses who were on scene during the attack is expected to begin this afternoon. Follow Elisha Anderson of the Detroit Free Press for live Tweeting of this murder trial. Detroit, MI - On Wednesday jury selection concluded in a criminal trial for a pit bull owner whose dogs brutally killed a 4-year old boy in December. Geneke Antonio Lyons is charged with second-degree murder and two other felonies in connection to the death of Xavier Strickland. Opening statements are expected to begin Thursday. The Detroit News reports that after 2-days of questioning by prosecutors and defense attorneys, a jury mostly comprised of women was seated. Prospective jurors were questioned about their attitudes regarding pit bulls, if they were afraid of dogs and about "responsible dog ownership." The News also reports that prospective jurors were asked if they could emotionally endure viewing graphic injury photos and video footage of the fatal attack.3 Judge Callahan said the trial is expected to last less than a week. Callahan also continued his gag order on the mauling case, saying, "we don't want (the case) tried in the newspapers." The defense is expected to argue that the horrific attack "was an accident" and that Lyons had no "wanton or willful" disregard to cause the death of the child. This is despite the defendant having gaps of up to 9-inches under his gate that in part secured the dogs along with knowledge his pit bulls had escaped the same way in the past. We expect Lyons' "keeping of the dogs" will be a primary focus. To better understand the fencing, watch this video and review this screenshot. Detroit, MI - On Tuesday the second-degree murder trial began for a Detroit man whose pit bulls escaped his property last December and eviscerated a 4-year old boy walking with his mother. Geneke Antonio Lyons, 42, is charged with second-degree murder, involuntary manslaughter and possessing dangerous animals causing death. The defendant faces up to life in prison if convicted by a jury on the murder count. Judge James Callahan is presiding over the fatal dog attack trial. In January, after a preliminary hearing, Judge Lydia Nance-Adams ruled that Lyons would proceed to trial on all charges in connection to the death of Xavier Strickland. The hideous mauling, where four pit bulls disemboweled the boy, was captured on surveillance cameras on Lyons' property. During the preliminary hearing, Judge Adams and two court workers watched the 16 minute video showing horror-struck facial expressions. This video will likely be shown to jurors during the trial. On December 2, 2015 Xavier and his mother Lucillie Strickland where walking to an elementary school when they passed near Lyons' home on 15500 Baylis Street. Four of his pit bulls flew out from beneath the property's fence and "snatched" the boy from his mother's arms as she fought to protect him. The dogs dragged Xavier by the hood of his coat across the street, yanked him under the fence and into Lyons' yard, where they ripped out his insides in front of his mother's eyes. The horrific attack left Detroit police officers aghast and sent shockwaves through the Detroit region, city officials and the media. "Children are facing enough challenges in Detroit. The fangs of wild dogs should not be among them," stated The Detroit News. Columnist Rochelle Riley of the Detroit Free Press went further, urging the city to ban pit bulls, remarking on the "cowardice" of city officials and how pit bulls are "part of the fabric" of Detroit and that it is time for "new fabric." A month after her son's brutal death, Detroit City Council members passed a resolution promising to toughen laws on vicious dogs. It is unknown if any actual changes ever resulted.5 The boy's parents, Lucillie and Clarence Strickland, also filed two lawsuits against Lyons and the property owner. Mark Bernstein of the Sam Bernstein Law Firm represents the couple. Bernstein also represented Steve Constantine who survived a catastrophic injury pit bull attack in Detroit in 2014. Read more background at our previous post about the fatal pit bull mauling of Xavier Strickland. 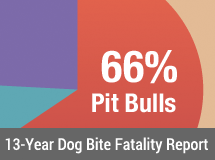 Medical study: Pitbull Mauling Deaths in Detroit, by Cheryl L. Loewe MD et al., The American Journal of Forensic Medicine and Pathology, Vol 28, December 2007. View the DogsBite.org Google State Map: Michigan Fatal Pit Bull Attacks. 2Fox 2 Detroit captured the reading of the verdicts along with Judge Callahan scolding the prosecution for overcharging the defendant and wasting taxpayers' dollars. Judge Callahan was so underwhelmed by the lack of evidence presented to support the Murder Two charge that he yanked the count himself yesterday in court. "It was my understanding that due to continued prodding by the defense counsel to try to illicit from the prosecution a more meaningful crime and plea," Callahan said. "This matter could have been resolved short of going to trial and saved the taxpayers of Wayne County a considerable amount of money," Callahan told the courtroom. In a nutshell, prosecutors did not have a Murder Two case and should have negotiated with defense to drop the higher charge to reach a plea settlement and spared the trial proceeding all together. When the prosecutor asked if she could respond, Callahan said, "No. You're not going to talk back to me young lady." 2Such court details are fascinating to us. A special thanks to George Hunter for being so expressive and descriptive in his Tweet coverage of the trial! Also, at times it felt like we were in the courtroom following his detailed feed. 3Unless an emergency physician, nurse, paramedic, coroner or war veteran, any juror who answered "yes" to this question likely cannot imagine what they will actually have to see -- this is a child too. We pray for them. 4Gag orders do not apply to judicial proceeding held in open court or any documents that have not been placed under seal, according to the Lawyers.com description and purpose of gag orders. 5Detroit Animal Control has a long embattled history. In October, the city decided to move the department from police back to health department oversight. This was primarily to improve its "rescue and foster operations," not for public safety purposes. However, the city stated then that biters and dogs with a long history of nuisance would not be made available for rescue. A few weeks after Xavier was brutally killed, a new director was appointed. More recently, in February, a judge struck down a questionable part of the city's ordinance that must now be amended. I'd support the death penalty for something like this. This brings tears to my eyes. That poor little kid. His poor mother. She will be haunted by that forever- thinking if only over and over. Makes me wonder why the scum bag next door thought he needed all those dogs and cameras too. Wonder what he kept in that house and who he thought was going to single him out to rob. It makes me think that if the truth be known he probably deserves to go to prison for more then just the dogs. I hope they lock him up for a real long time and never let him own any type of dog again. the owner wasn't notified that his dogs got out in the past? Not surprising as his front door was guarded by pit bulls and his yard was fenced. Would any sane person walk into that yard to knock on the front door? Of course he knew his dogs could get out, though, as if that even mattered. People shouldn't be allowed to keep dangerous animals, and if their animal injures or kills anyone, there shouldn't be first bite laws to hide behind. In another media story, this bull owner is facing involuntary manslaughter charges because he did not properly secure his bull, and someone got killed. This is what needs to happen to every dog owner that uses their dog to hurt or kill someone. These are NOT accidents. Notice that a previous complaint report was on record, so necessary. I for one would be happy to help if anyone is interested in putting a team together. These law breakers also are very quick to blame you, the victim, and try to claim you are harassing them. That is the typical procedure for criminals these days. Always go to police and authorities. Have them handle it, and follow up with them. Ensure there is a written report on file. Be the squeaky wheel that gets the grease, bug them. Of course it does not matter if someone was notified or not. This dog owner had insecure containment and chose to have viicous dogs. They were able to kill a boy who was on public property. End of story. Guilty! This man had four video cameras guarding his property. One was positioned so that it showed the pit bulls leaving and re-entering the yard during the attack on Xavier Strickland. Surely at least one of them recorded the pit bulls routinely leaving and re-entering the property before the day of this killing. How can the defendant claim he didn't know the pit bulls roamed at will just because no one verbally told him? Did the prosecution think to subpoena older tapes that would have shown Lyons frequently saw that the pit bulls were at large? If not, I wonder why not. Why didn't the judge ask about older tapes? Jurors have been allowed to send questions to the judge. I hope one of them asks whether any older tapes show the pit bulls coming and going from the property. As it is, now we can only hope that Lyons doesn't also get away with denying he knew his pit bulls were dangerous. That would be an unbearably horrific miscarriage of justice. We are currently trying to cope with this Sputnik. The evidence of phone records and texts showing he had previous knowledge of their escapes — what happened to them? By the end of the day Monday and Tuesday, it looked very bad. We were even quite concerned by last Friday and write about that in the weekend update. Either some evidence got pulled (though you think this would have happened pre-trial) or prosecution has done a miserable job. During the preliminary hearing, prosecution alludes to more evidence on the video cameras. At this stage, it is completely unclear if the jury will even convict on the lowest charge (which is still a felony), possession of owning a dangerous animal. Did prosecution prove "recklessness or negligence" beyond a reasonable doubt for the involuntary manslaughter charge? Did they prove owning a dangerous animal beyond a reasonable doubt? And not just beyond a reasonable doubt, but all of the jurors must agree! I place odds at 50/50 now and it just takes one juror to hang. "Geneke Lyons was not remanded to jail; he is free on bond." That beautiful little boy was not allowed to be free. No he had his rights and his life completely stolen away from here. Animal control, local governments, and states have to do far more to prevent this from happening. The public must stand up and demand it. Criminals will go as far as they are allowed to. The sad reality is that minimal time and reduction of offenses from a felony to a misdemeanor show us that the price of life is nothing! It also proves that the courts, to often break the law themselves by slapping the owners hand and releasing the owners of viscious dogs! Now is the time for this boy's mother to pursue a civil case against the dog's owner AND the property owner. A percentage of his wages can be reserved as compensation for the mother for the loss of her child. The property owner allowed someone to have dangerous dogs on his property unsecured. The property owner holds the ultimate responsibility. Actually, the ultimate target is the property insurers. They have the biggest pot of gold. Judge James Callahan has a history of problems in the court. Needless to say, although Callahan has now come to the conclusion that the life of this child is of no value, and that a murderer is more important, there is not a chance that if Judge Callahan's relative or child was murdered in this way that the perp would be getting hugs and sympathy from the courts. The correct term would be some kind of pathology. This sentence is a travesty of justice! Does anyone think for one minute that if a repeated drunk driver plowed into a family and killed their child, even though he 'didn't mean to', he wouldn't have the book thrown at him? I don't see the level of GROSS negligence involved in this child's preventable death as any different. The sentence should have been MUCH greater. Only murder by dog is treated this lackadaisically. YES! That is the perfect example. What is wrong with our legal system?? I feel that it comes down to our society's twisted perception that dogs are human and thus all dog breeds are created equal. They see put bull attacks as random and freak accidents. They are not. There is MORE than enough evidence proving put bull breeds are dangerous and predisposed to kill. It is so frustrating. Judges are supposed to be intelligent, educated and just, but they are harboring criminals. Reminds me of the pedafile epidemic exposed in the Catholic Church. This is a horrible travesty. My heart hurts for the parents. I just don't get why the rest of the world isn't up in arms over this and other viscioue dog attacks on innocent people and children the same as they would be if there was a random shooting! It is no different. The dogs are known killers and their owners SHOULD be held accountable OR not even allowed to own them!!! When will it end?? Not until the child of a judge himself is killed by these devil dogs. This makes me sad and sick! This judge and prosecutor have failed justice for these parents miserably. Mr Lyons gets a slap on the wrist and it's s slap in the face for Xavier's parents. I hope they ate successful going forward with their civil suit.